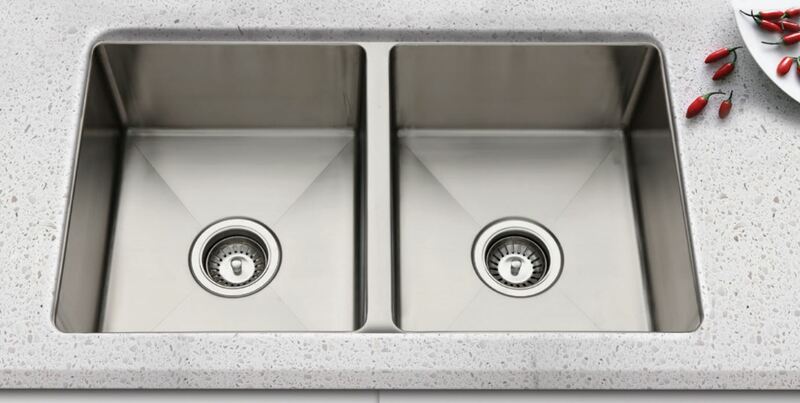 If you’re looking for a larger kitchen sink to make your life easier, the Squareline Double Undermount Sink from Everhard is meant for you. 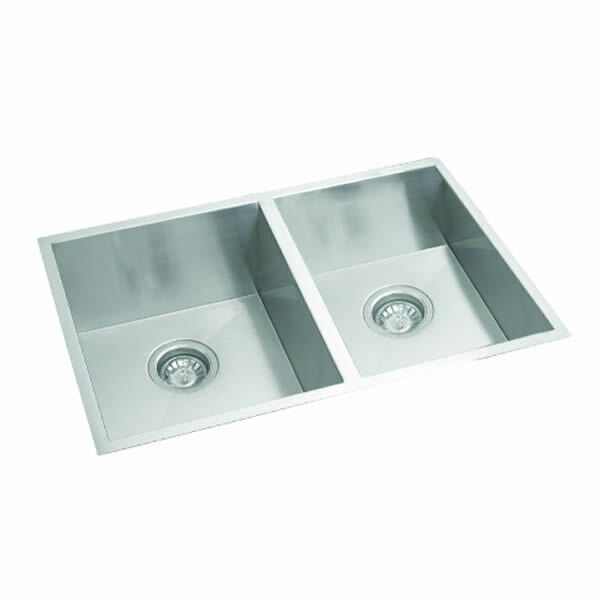 This heavy duty undermount kitchen sink features two large stainless steel bowls of 27L capacity. It features elegant looks, which will do well to complement even the most modern of designer kitchens as also cabinetry. 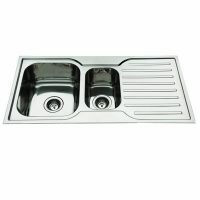 This unit is not recommended to be installed as a top mount sink. 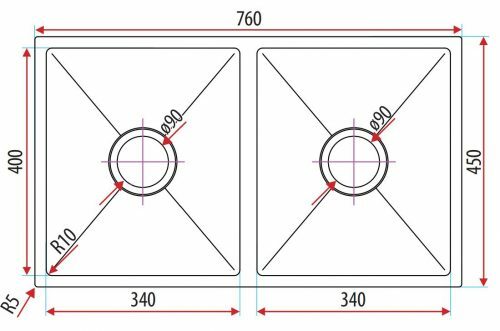 The Squareline Double Undermount Sink measures 760x450x200mm in size and features straight and sleek lines with 90 degree corners. The internal corners of this kitchen sink feature a neat 10mm radius, making it incredibly easy to clean. 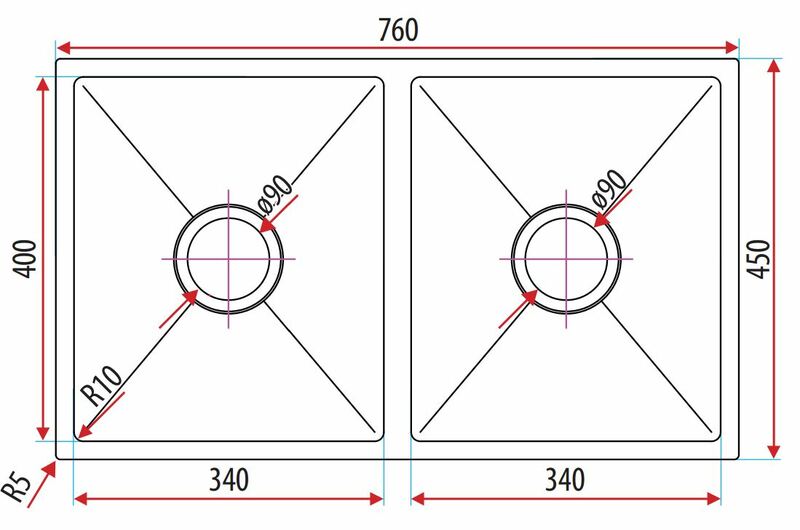 Two 90mm basket wastes are also included. Like all Everhard products, this kitchen sink has been manufactured to the finest standards of quality and features high grade 304 stainless steel, 0.8mm thick. Everhard also offers an impressive 25 year guarantee on the stainless steel bowl. 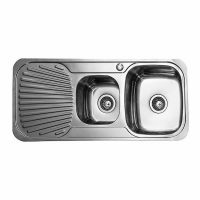 Add this large kitchen sink to your kitchen and wash your kitchenware and vegetables with ease. Buy it today at the lowest price – only at Ross’s Discount Home Centre!